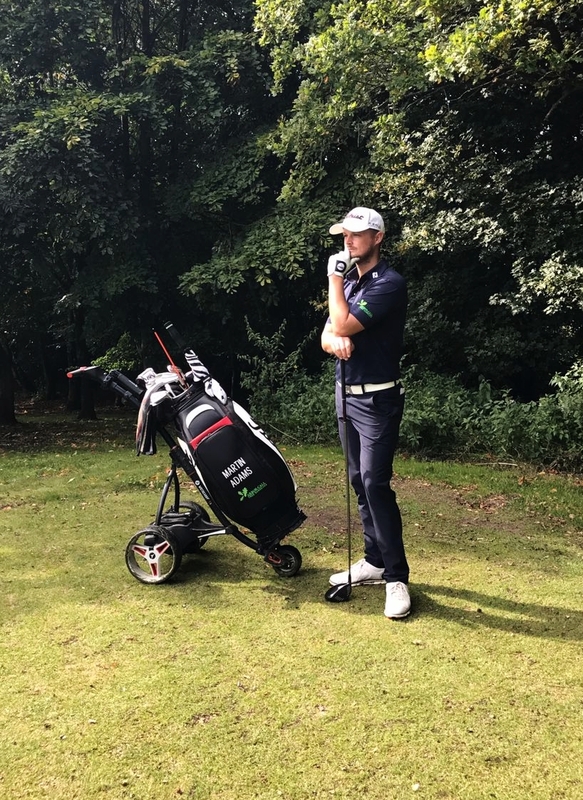 Arbor Call Tree Surgeons sponsor Martin Adams, Hampshire Golf Pro. Arbor Call Tree Surgeons are the official sponsors of Golf Pro Martin Adams. Based at Swanmore Golf Centre, Martin is a PGA professional who coaches golfers of all levels. Becoming a professional in 2010, he won the Hampshire Order of Merit title in 2016. We were lucky enough to have a professional lesson with Martin on a team day out to Swanmore Golf Centre. The majority of us having never played before, so a visit to the centre’s driving range prior to tackling the course was an excellent way to learn the basics. After Martin had given us the basics in technique and etiquette we went out onto the nine-hole course to put our skills to the test. Martin was very generous with his time and very patient with us as beginners! Arbor Call Tree Surgeons have sponsored the AFC Hiltingbury Hawks Football Team in Chandlers Ford. A fantastic photo of the team next to our Arbor Call banner! AFC Hiltingbury was founded in 1990 and is a community football club. A project is currently being undertaken by the manager of the Under 11 football team to expand the number of youth football pitches in the Chandlers Ford area. Arbor Call Tree Surgeons are pleased to have the opportunity to sponsor the team which will help towards creating a brand new venue near Oakmount Road in Chandlers Ford. The site requires installation of basic amenities and football equipment, including goals and line markers. The best of luck to the team for this season! Arbor Call Tree Surgeons have donated tree surgery work to the Museum of Army Flying in Middle Wallop in Hampshire. Important to the history of British aviation the museum provides 100 years of history of British Army Flying. Located inside an aircraft hangar purpose built for the museum, everything from military ballooning to today’s Army Air Corps is shown here. Keeping the trees and foliage outside the visitor’s centre safe and well maintained is important and Arbor Call Tree Surgeons are more than equipped to tackle the job. The work completed involved the removal of a tree that was blocking the sign for visitors on the main road. These are the sorts of small jobs that can be easily overlooked but keeping your signage free of offending foliage will instantly increase your visibility to potential customers and visitors. Removal of branches from a tree that was overhanging the visitor’s entrance way. Keeping an eye on trees that overhang public areas are especially important. As a property or land owner you are responsible for the health and safety of the trees on your property. To trim a tree next to the building to give more space between the tree itself and the building. Regular maintenance of trees and hedges close to buildings will look after the health of the plant and prevent any potential damage to the building’s structure. Donating our tree surgery work to a local charitable cause is important to us here at Arbor Call and we are pleased to show our support for the Museum of Army Flying. At Arbor Call we have sponsored a portion of the site at the new Leisure Centre in Sarisbury Green by donating three trees and lifetime care of these trees to the new Holly Hill Leisure Centre. The old Coldeast Hospital is the site for a new state of the art multi-million pound leisure centre. The centre boasts two new Swimming Pools, full size gym and group exercise studio. 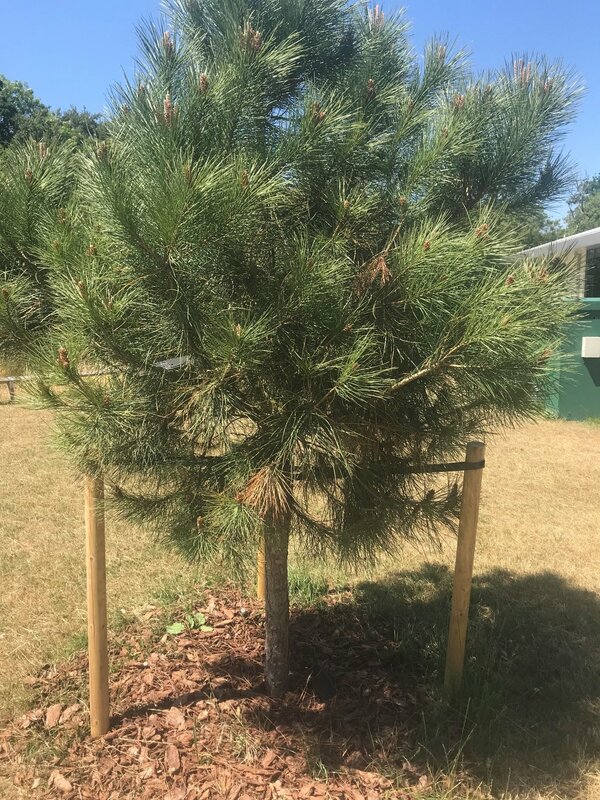 Arbor Call have donated a Scots Pine, Tulip tree and a London Plain, located on the once barren ground, to the left hand side of the building. Birds of prey will be attracted to the optimum nesting branches of the Scots Pine; the Tulip tree will provide colour during warm and cold weather, turning vibrant yellows & reds in the autumn; the London Plane, so called, as it is the most commonly planted tree in London. The three trees will be pruned and watered regularly and when grown, will provide much needed shade to this area of the site.